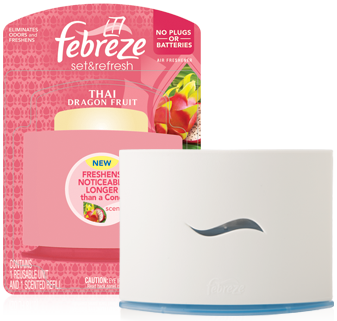 Febreze Set and Refresh is a unique scented oil room freshener. We had the opportunity to try the Thai Dragon Fruit scent and we love the way it smelled. Although it is a little chemical-smelling, it is not too overpowering. We’ve had it sitting out freshening our house for just about a month and it’s been very pleasant. It’s not too overwhelming like some brands I’ve used, but it is definitely noticeable sometimes as the scent is slowly released into the air. I really like the look of the Febreze Set and Fresh. It is not big and bulky or unattractive like some. 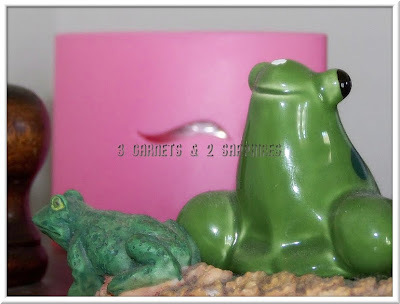 Its small pink design made it just perfect for going on my shelf. It would also work well in a musty closet, kitchen, bathroom, or any other particularly odorous area. Overall we are very pleased with this home air freshener. 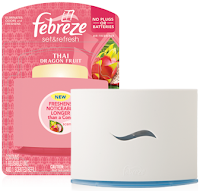 The Febreze Set & Refresh is available in six scents, Meadow & Rain, Linen & Sky, Spring & Renewal, Apple Spice & Delight, Hawaiian Aloha, and Thai Dragon Fruit. To learn more about this and other Febreze products, visit Febreze.com and Febreze on Facebook, where you can view videos from cook and author Sandra Lee about how to use Febreze products to make your home environment more pleasant and inviting. If you would like to try this product, visit Febreze.com to receive a coupon for $1 off Febreze Set & Refresh. Thank you to Febreze for sending us a sample product free of charge to base this review upon.